SATNAVs: Sorry - the Club does NOT have an assigned postcode that gets you to the right location! SN7 8SJ will get you to the Nursery View estate - 300 yards away from the Club. Don’t turn in to Nursery View - just keep going up & over the hill until you can’t go any further -then turn right into Folly Sports Park. 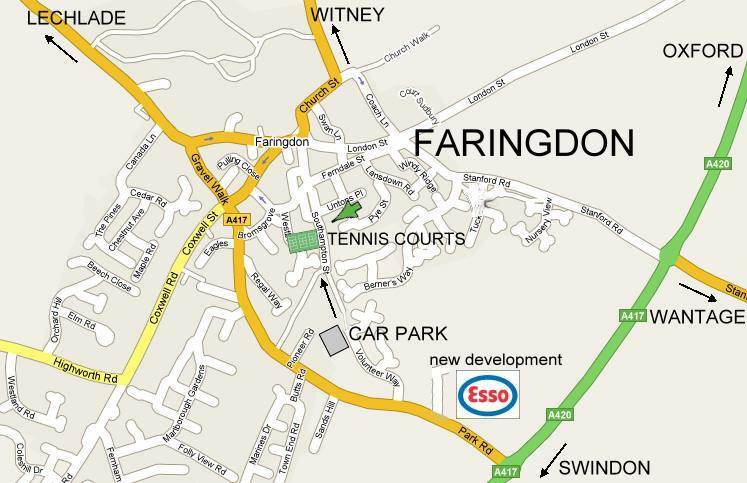 FROM LECHLADE (A417) OR WITNEY (A4095): Go right into Faringdon Marketplace, then go up London St, heading towards Oxford. At the top of London St (at the Folly Pub) turn right into the Stanford Rd, then come up and over the hill until you can go no further. Turn right into Folly Sports Park. FROM OXFORD (A420): Turn RIGHT off the A420 at the FIRST turnoff into Faringdon. You will pass the Folly Tower on your RHS. Just past Sudbury House Hotel, turn left into the Stanford Rd, then come up and over the hill until you can go no further. Turn right into Folly Sports Park. FROM SWINDON (A420): Turn LEFT off the A420 at the SECOND turnoff into Faringdon (don’t take the roundabout junction into Park Rd). You will pass the Folly Tower on your RHS. Just past Sudbury House Hotel, turn left into the Stanford Rd, then come up and over the hill until you can go no further. Turn right into Folly Sports Park. FROM WANTAGE (A417/A420): At the roundabout where the A417 meets the A420, turn right onto the A420 - towards Oxford. Then after 1/3 mile, turn LEFT off the A420 going into Faringdon. 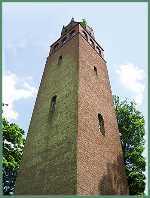 You will pass the Folly Tower on your RHS. Just past Sudbury House Hotel, turn left into the Stanford Rd, then come up and over the hill until you can go no further. Turn right into Folly Sports Park.